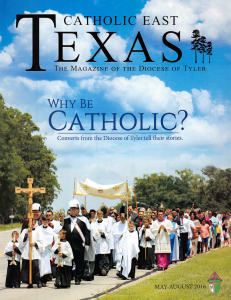 The diocese of Tyler Texas has a beautiful glossy magazine and this issue is about apologetics. Excellent magazine. This month has a review of my book Crossing the Tiber and Hahn’s book Rome Sweet Home. The priest who wrote the article says these are “books to give away” and tells how he buys them for people.